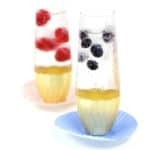 Sparkling Balsamic Mocktails with Berry Ice Cubes are a flavorful, make-ahead drink for toasting any occasion and making entertaining easy. This post contains affiliate links. If you click on one and buy something, I may receive a small commission at no additional cost to you. All opinions are mine! Let’s face it: Bridal and baby showers can be a pain. 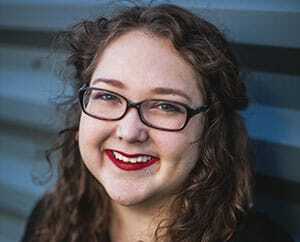 You want to host a party to honor your friend, but planning a menu is frustrating. First, figure out if you should serve alcohol at the party. Your honoree may have a preference, and a mocktail-only (AKA alcohol-free) party is totally A-OK. Regardless, I think it’s always a good idea to have a mocktail on hand at any party. Some people just won’t drink for a variety of reasons (i.e. pregnancy, designated drivership, religion, personal choice, etc.) so having an option that’s not plain ol’ soda or water is always a nice gesture as a host. 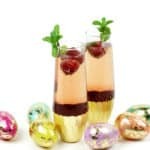 Lately, I’ve been a fan of these Sparkling Balsamic Mocktails. Someone told me a while back to try drinking sparkling water with a splash of balsamic vinegar or white balsamic vinegar, and I’ve been hooked ever since. Adding just a smidgen of tart flavor helps me to drink more water! When I was trying to brainstorm a mocktail for a baby shower recently, I kept coming back to this one. It’s remarkably simple: ice + sparkling water + balsamic vinegar. I actually prefer the alcohol-free version, but you can certainly sub in sparkling wine or toss in a shot of vodka if you like! I decided to dress them up for a baby shower by making fruity ice cubes. 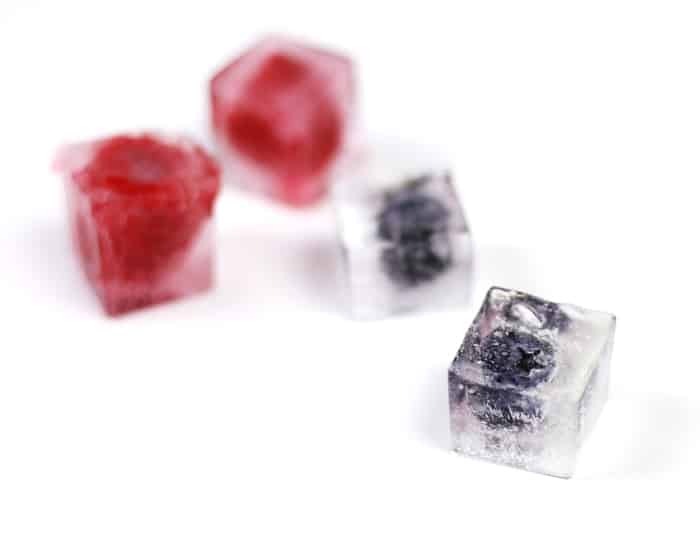 I pressed blueberries and raspberries into an ice cube tray (I’m in love with this one), filled it with water and froze them for a day. 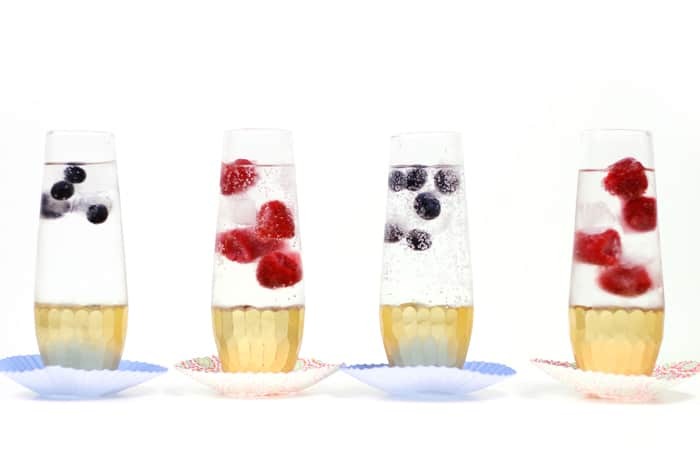 The fruit looks so cool suspended in the water, dancing around with the bubbles. 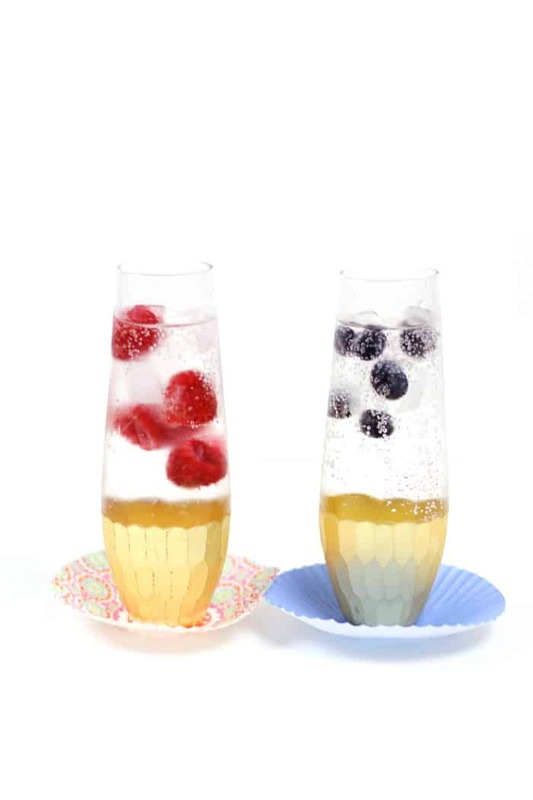 Seriously, these Sparkling Balsamic Mocktails with Berry Ice Cubes are the cutest pink and blue mocktails! So much fun if you’re planning a baby shower. If you’re a mocktail fan, check out some of my other favorite mocktail ideas here and here. Oh, and the rest of the menu? I’ve got you covered. 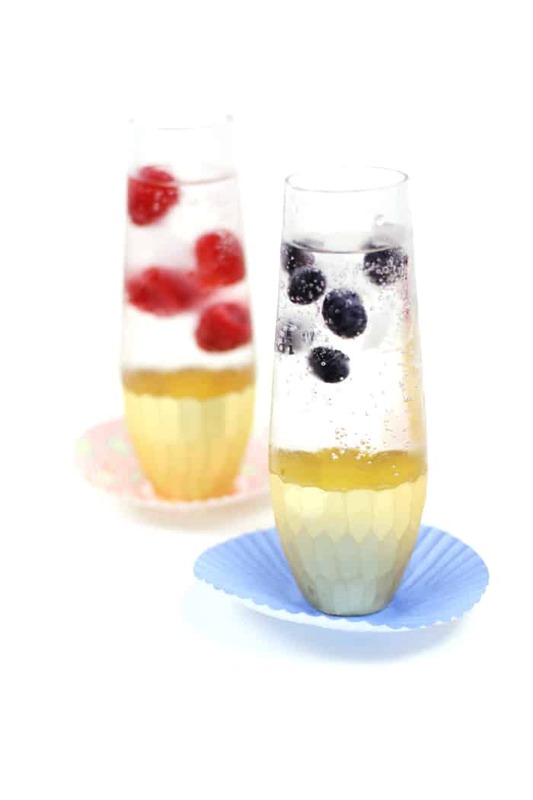 A sparkling beverage with frozen berry accents. 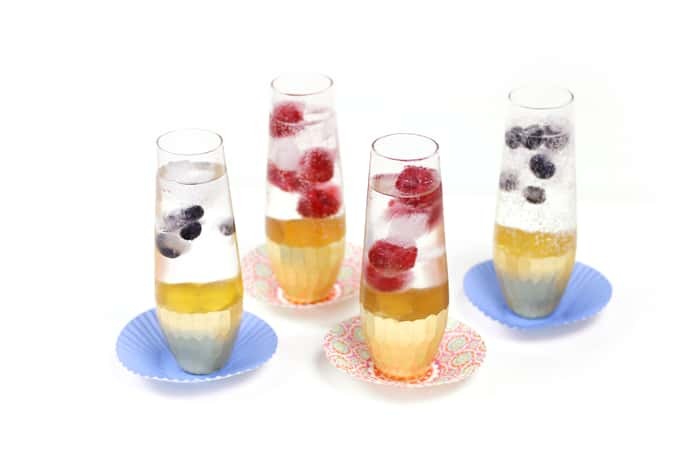 Perfect for baby and bridal showers or just easy sipping! 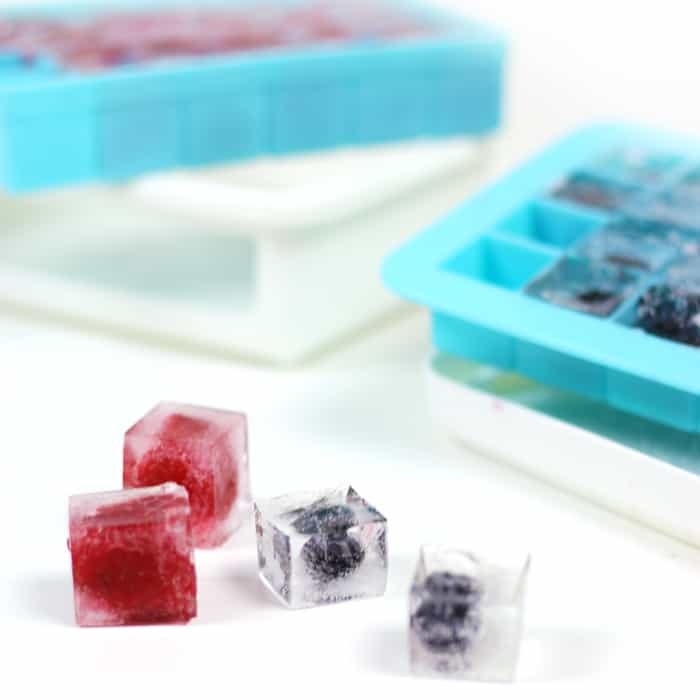 In a clean ice tray, drop blueberries and/or rasperries in each cavity. Top with water. Freeze until solid. 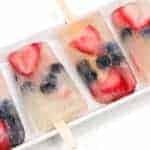 Remove from tray and place in freezer-safe zip-lock bag in freezer until needed for mocktails. To a champagne flute, add balsamic vinegar. Top with sparkling water, filling about 3/4 of the glass. 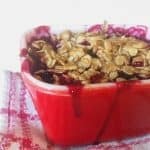 Add 6-8 pieces of plain ice and berry ice. Serve immediately. 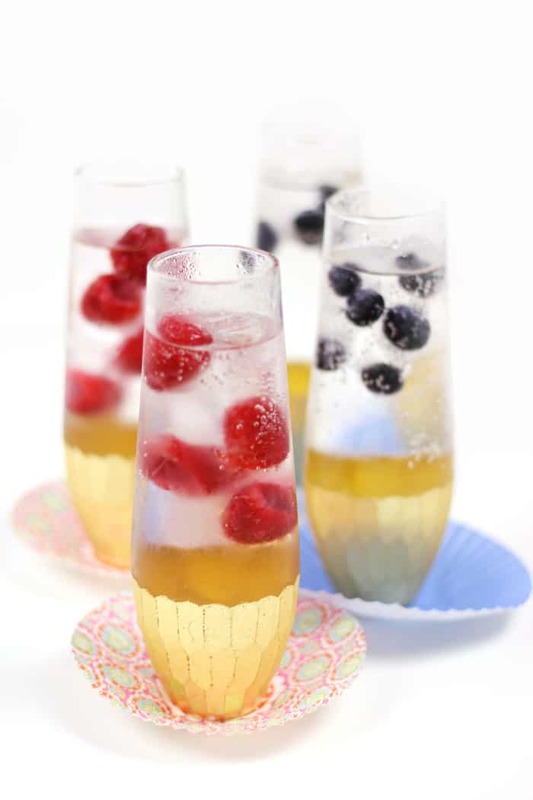 Pin these Sparkling Balsamic Mocktails with Berry Ice Cubes! 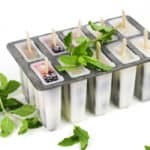 Love, love those super cute ice cubes! Thank you so much, Karen! I love them, too. I think I’m going to put them in my water this afternoon! You are so sweet! Thank you so much for planning this fun virtual shower for me. Your mocktails look so pretty! I bet they taste amazing, too.